Published in: Marsson, T. (1901). Diatomaceen von Neu-Vorpommern, Rügen und Usedom. Zeitschrift für Angewandte Mikroskopie und Klinische Chemie 6: 253-268. The type species (holotype) of the genus Bacillaria is Bacillaria paradoxa J.F.Gmelin. Europe: Albania (Miho & Witkowski 2005, Kupe et al. 2010), Austria (Jahn & Schmid, 2007), France (Anon. 2017), Georgia (Barinova et al. 2011), Germany (Mauch & Schmedtje 2003, Jahn & Schmid, 2007), Hungary (Németh 2005), Macedonia (Levkov & Williams 2012), Netherlands (Veen et al. 2015), Romania (Caraus 2002), Spain (Varela 1982, Álvarez Cobelas & Estévez García 1982, Aboal 1986, Aboal 1987, Tomás 1987, Aboal 1988a, Aboal 1989b, Aboal, Puig & Soler 1996, Aboal, Marín & Zafra 2003, Cantoral-Uriza & Aboal 2008, Ros, Marín-Murcia & Aboal 2009, Pérez, Maidana & Comas 2009, Pérez, Comas & Maidana 2010, Leira, López-Rodríguez & Carballeira 2017), Ukraine (Bukhtiyarova 1999). North America: Alaska (AK) (Foged 1981), Arkansas (AR) (Smith 2010), Canada (Mather et al. 2010, Mather et al. 2010), Great Lakes (Stoermer, Kreis & Andresen 1999), NW USA (Bahls 2009), Texas (TX) (Eberle 1982), United States of America (Kociolek 2005, Eberle 2008). South America: Argentina (Tell 1985, Rodriguez et al. 2006). Africa: Egypt (Nassar & Khairy 2014, Nassar & Kham 2014, Khairy et al. 2017), Ghana (Foged 1966). South-west Asia: Iran (Afsharzadeh et al. 2003, Afsharzadeh et al. 2003, Jamaloo et al.. 2006), Iraq (Maulood et al. 2013). Asia: Caspian Sea (Bagheri & Fallahi 2014), China (Liu 2008, Fan & Liu 2016), Taiwan (Shao 2003-2014). South-east Asia: Singapore (Pham et al. 2011), Thailand (Foged 1972). Australia and New Zealand: New South Wales (Day et al. 1995), New Zealand (Harper et al. 2012), Queensland (Day et al. 1995), South Australia (Day et al. 1995), Victoria (Day et al. 1995). North America: United States of America (Kociolek 2005). North America: Great Lakes (Stoermer, Kreis & Andresen 1999), United States of America (Kociolek 2005, Eberle 2008). Africa: Egypt (Khairy et al. 2017). Europe: Adriatic Sea (Vilicic, Marasovic & Miokovic 2002), Baltic Sea (Hällfors 2004), Black Sea (BSPC Editorial Board 2014), Bosnia-Hertzegovina (Hafner, Jasprica & Car 2018), Britain (Hendey 1954, Hendey 1974, Hartley 1986, Sims 1996, Whitton et al. 2003), Croatia (Schmid 2007, Vilicic et al. 2009), Denmark (Jahn & Schmid, 2007), Finland (Weckstrom & Juggins 2006), France (Ector & Hlúbiková 2010, Anon. 2017), France (Breizh) (Guilloux et al. 2013), Germany (Ludwig & Schnittler 1996, Rumrich, Lange-Bertalot & Rumrich 2000, Mauch & Schmedtje 2003, Täuscher 2014, Täuscher 2016, Cantonati, Kelly & Lange-Bertalot 2017), Helgoland (Hoppenrath 2004, Hoppenrath 2004), Italy (Congestri et al. 2005, Di Pippo et al. 2014), Netherlands (Veen et al. 2015), Poland (Bąk et al. 2012), Portugal (Moita & Vilarinho 1999), Romania (Caraus 2012, Caraus 2017), Scandinavia (Karlason et al. 2018), Turkey (Europe) (Balkis 2004, Aysel 2005), Ukraine (Berezovskaya 2019). Atlantic Islands: Canary Islands (Schmid 2007, Anon. 2011, Afonso-Carrillo 2014), Madeira (Kaufmann, Santos & Maranhão 2015). North America: Alabama (AL) (Schmid 2007), Florida (FL) (Schmid 2007), Great Lakes (Stoermer, Kreis & Andresen 1999), Mexico (López-Fuerte & Siqueiros-Beltrones 2016), Mexico (Caribbean) (Merino-Virgilio et al. 2013, Licea, Moreno-Ruiz & Luna 2016), Mississippi (MS) (Sullivan 1981), Nova Scotia (Kim, Garbary & McLachlan 2004), Québec (Poulin, Hamilton & Proulx 1995), United States of America (Kociolek 2005, Schmid 2007), Virginia (VA) (Makinen & Moisan 2012). Africa: Côte d'Ivoire (Ivory Coast) (N’Guessan et al. 2018), Egypt (Schmid 2007, Khairy et al. 2017), Egypt (Red Sea) (Abbass, Madkour & Abu-El-Regal 2018), Gambia (Schmid 2007), Ghana (Smith, Smith & Nii Yemoh Annang 2015). Indian Ocean Islands: Maldives (Stanca et al. 2013). South-west Asia: Iraq (Maulood et al. 2013), Israel (Barinova & Tavassi 2009, Barinova, Tavassi & Glassman 2009, Barinova et al. 2004), Lebanon (Lakkis 2013). Asia: China (Liu, Williams & Ector 2018 ), Korea (Lee, Choi & Lee 1995, Jeong et al. 2017), Russia (Kulikovskiy et al. 2016), Russia (Far East) (Medvedeva & Nikulina 2014), Taiwan (Shao 2003-2014, Anon. 2012), Tajikistan (Barinova, Boboev & Hisoriev 2015, Niyatbekov & Barinova 2018). Australia and New Zealand: Australia (McCarthy 2013), Queensland (Bostock & Holland 2010), Tasmania (John 2018), Western Australia (Schmid 2007). North America: United States of America (Kociolek 2005, Eberle 2008). Congestri, R., Cox, E.J., Cavacini, P. & Albertano, P. (2005). Diatoms (Bacillariophyta) in phototrophic biofilms colonising an Italian wastewater treatment plant. 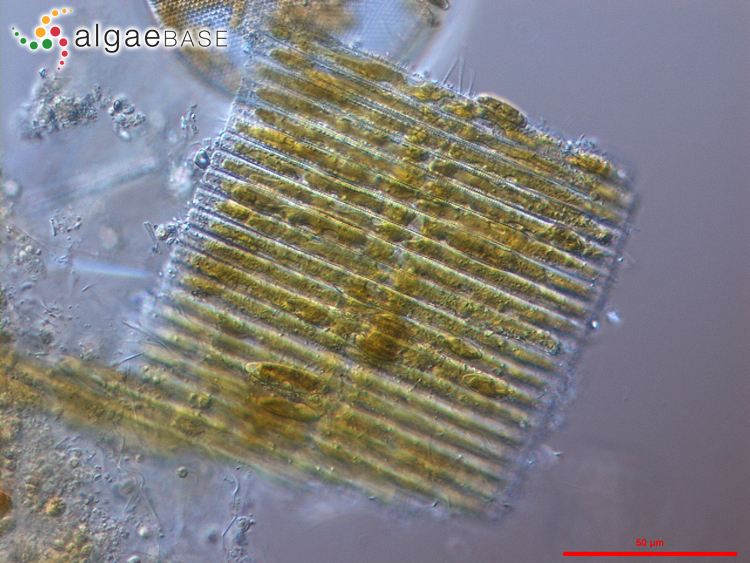 Diatom Research 20(2): 241-255. Hendey, N.I. (1951). Littoral diatoms of Chichester Harbour with special reference to fouling. Journal of the Royal MIcroscopical Society, series 3 71: 1-86. Höbel, P. & Sterrenburg, F.A.S. (2011). 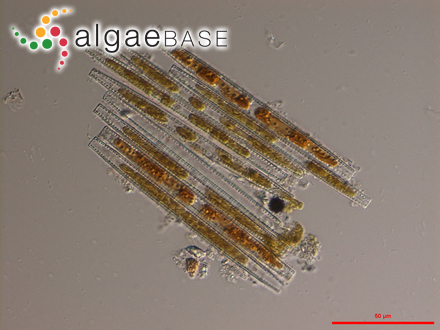 UV photomicrography of diatoms. Diatom Research 26(1): 13-19. Schmid, A.-M. M. (2007). 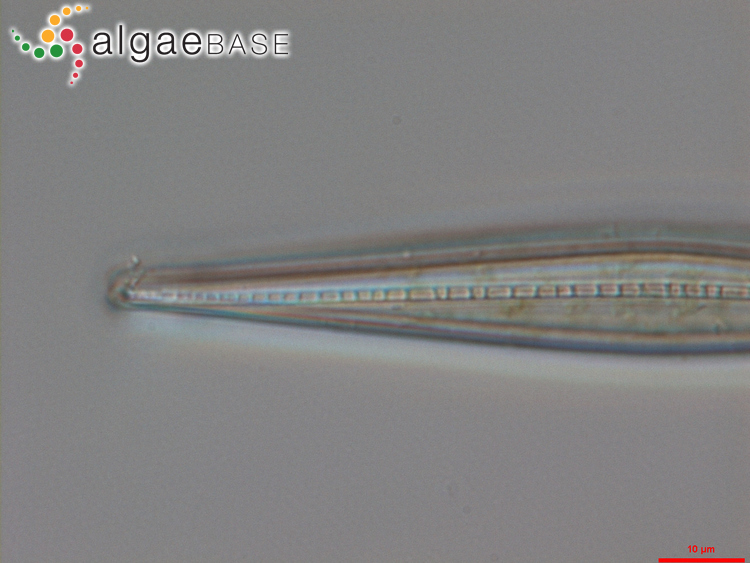 The 'paradox' diatom Bacillaria paxillifer (Bacillariophyta) revisited . Journal of Phycology 43: 139-155. Thamatrakoln, K., Alverson, A.J. & Hildebrand, M. (2006). Comparative sequence analysis of diatom silicon transporters: toward a mechanistic model of silicon transport. Journal of Phycology 42: 822-834. Weckstrom, K. & Juggins, S. (2006). 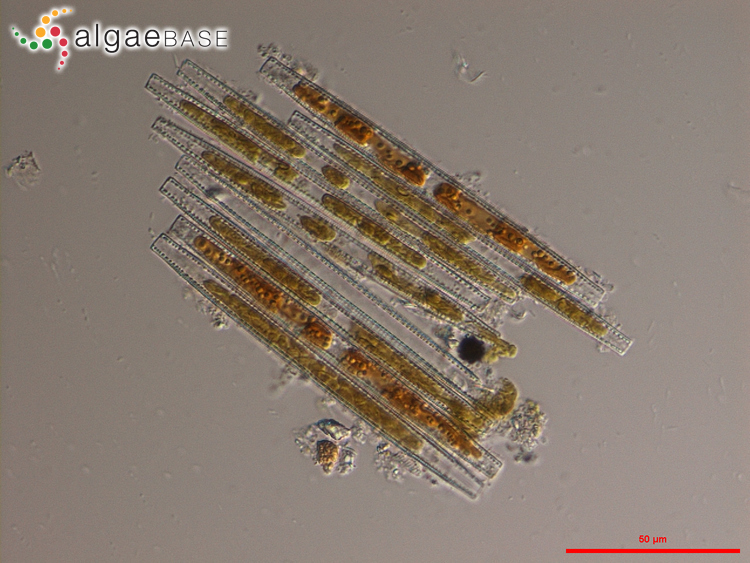 Coastal diatom-environment relationships from the Gulf of Finland, Baltic Sea. Journal of Phycology 42: 21-35. Accesses: This record has been accessed by users 10630 times since it was created.